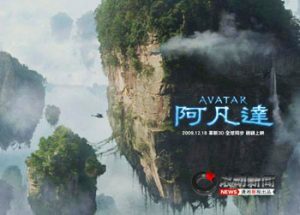 At a time when a great fuss is being made about Google’s sudden discovery of morality that has made them pull out of the Chinese market – it occurs to me that this apparent reaction in China to the film Avatar is suggestive. It is perhaps not the full frontal assaults of such ‘champions of freedom’ as American corporations or Western leaders lecturing their Chinese hosts about human rights that are going to bring down the Great Firewall of China, but rather the delicate tree-roots of mythology that connects all humanity. “Hero” arguably has a lot of meaning. I never looked into the director’s comments on the piece, but in EAS academic circles, it has caused quite a hubbub. Politically it has as well. It touches on an excessively sensitive topics in China. One is the issue of unification and national identity. 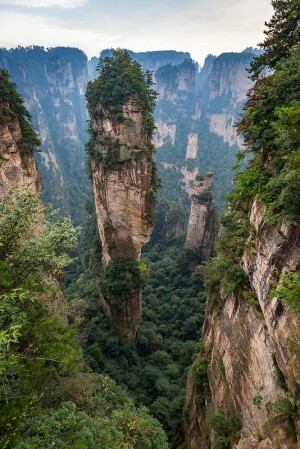 It takes place just prior to China’s first unification under the future Qin emperor. As such, it is allegorical (and read allegorically by the Chinese audience, all of whom have been taught of the First Emporor). The past is read as a way of commenting on the present (something that has historically been done by Chinese to advice the rulers, of whom they were never allowed to directly criticize). This raises the controversy: is this film nationalistic or is it critiquing the government? The former is drawn from the tie between the Qin emperor carving out a nation, and the Communisty Party revitalizing a crippled nation-state ravaged by the last 150 years of terrible governance, colonialism, and war. It also celebrates an icon in Chinese history, whereby the Chinese people could rally behind the idea of in the present. It can be substantiated by the assasin deciding not to kill the king, who was deemed as a tyrant, because he believed that these small evils were superceded by the “greater good” of unification (consider the title of the film “Hero”). This is linked to a longstanding Chinese belief that unification is good – it is a cultural assumption, and as those on the outside would view, not necessarily a fact, especially when you factor in all the ethnic and cultural minorities in the geographical influence of China. The criticsm is linked to the desire to kill the Qin emperor to begin with, and from what I roughly recall, most deeply expressed in Maggie Cheung’s character. He is a reviled character in history for many things: for his tyranical (Legalist) rule, and famed burning of the books and execution of scholars. This is given as a granted throughout the film. Indeed, his execution of the assassin reveals his pragmaticism. The assasin’s failure to kill him in a sense makes one wonder whether the film is hinting that it is almost futile to stop the current government. Two intertwined features in the film is retelling, and colour. Each retelling of the story is done in a different colour. I believe it was red, blue, green (or was one white)? Each colour reflects a certain mood. Moreover, each retelling highlights various possibilities. Ultimately, each retelling reveals how truth is an elusive unravelling rather than a conclusive reconstruction. So it is with history, and China’s obsession with our “grand narrative” of Chinese history, and enduring (read unchanging) culture. Such a story, while grand and most fascinating initially becomes an oppressive and obliterating discourse. Thankfully, China has produced enough historically for us to piece together some fragments of the diversity in thought, cultures, and lifestyles. I hope I don’t come across as trying to say that we Chinese know better (as actually a lot of Chinese don’t like the films either), but definitely with some cultural background does inform our views of some of the means of expression the director had envisioned. A good case and point are 3 movies that I quite like, “Saving Face”, “Spider Lilies” and “Drifting Flowers”. The latter two had a particularly bad rap from those who didn’t come from an Asian (perhaps even just Chinese) background. And upon discussing with various people, I noted it was because the lack of expression (silences and small gestures) was viewed as bad acting and a weak plot, whereas those were exactly what a few friends and I as Chinese appreciated and related to most, since inability for expression is often a huge issue for people highly influenced by Chinese culture. Since I specialized in East Asian Studies and did Sexual Diversity Studies, I have a tendency to look at relations of power that affect discourses. As such, I have an aversion to general popular media, which is still heavily influenced by (in nebulous terms) Western, white, heterosexual, patriarchal values. One of those tropes is that the white human male not only seduces the Other alien, he is somehow more qualified than the Other to defend the planet. Colonialism and the WW still have a huge lingering effect that many people do not recognize or acknowledge. And I find the HK situation disheartening because it is another manifestation of their superficiality and materialism. It’s not just Avatar, but other movies, TV series, products, etc., that they judge purely for superficial gimics (graphics, costumes, speed of action plot, fight scenes) without regard to the story or meanings (or lack thereof) behind it. It is not even a subconscious unawareness (i.e. Joyce), but rather an outright neglect (the fact that they actively express their interest in graphics and action as “exciting” and dramatic stories as “too slow for HK tastes”). It’s not the admiration for graphics that is irritating, as the quality seems to be well accepted, but rather the lack of regard for the other factors. as for what you say about HK attitudes, my impression is that you could spread this judgement to the rest of China – at least if many of the blockbusters coming out of the Mainland are anything to go by… Gorgeous and exhilarating as films like “Hero” and “Curse of the Golden Flower” are – I tend to find that I am left feeling empty after watching them – as if I’ve just consumed a sumptuous feast that provides zero calories… I do wonder if this reflects something of the lack of confidence that I think you may be talking about…? Agreed with the link and the comment. However, I can’t exactly stomach the idea of Avatar’s storyline being a sci-fi Pocahantus. I think the movie’s managed to have a widespread appeal because it can contain various (bordering on mutually exclusive) perspectives. 1) Sci-Fi colonialism, capitalism (which the Chinese in your article were reacting to) 2) and Western heroism (where the “West” can pat itself on the back for having one moral character who does the right thing), and 3) sensual graphics. In HK the reaction has been equally crazy – but purely for the graphics. Across the board, people in HK are amazed at the graphics and entertainment quality (which is a bit disheartening actually). can you elaborate on why exactly you can’t stomach it…? what do you find disheartening about people in HK being amazed by the graphics? This doesn’t surprise me. People will often reject what’s hammered at them via the media and commerce – or may accept it on a surface level but remain suspicious of the motives of those purveying it. They trust more the cultural connections that they find for themselves. I have to say that I find that image much more attractive than the one I’ve seen used to promote the film here. Though from what I’ve read, I’m not so sure about seeing it at the cinema. Have you seen this, by the way?